Whether a resident of Sumrall or just someone passing through, it’s hard not to notice Sumrall’s small town charm. The town is a family-friendly community with many parks and recreational areas. Families can enjoy a nice walk or ride along The Long Leaf Trace, a designated National Recreational Trail, beginning in neighboring Hattiesburg and continuing through Sumrall ending 40 miles later in Prentiss. Many people picnic or play games of tennis and volley ball at our recently improved Town Park on Rocky Branch Road. The Lions Club Park is also a nearby facility where kids of all ages can play the day away on the playground or romp through the splash pad on warm summer days. With many shops, boutiques and restaurants within our town, it’s easy to find just what you need without having to drive too far. Festivals, parades and celebrations are held in Sumall on many occasions. For example the 4th of July celebration is complete with music, food and fireworks. We are also home to the Olde Towne Christmas Festival that takes place every December. Wonderful food, and vendors of all kinds can be found lining up and down Main Street. One special event in the history of the town is the dedication of the Christmas Angels. Every year, the lives of our loved ones who have gone before us are represented through the lighting of angels that adorn Main Street for all to see. When Daniel Sumrall, an officer of the Union Army, came to Sumrall in the late 1880’s he decided to settle down and stay. He had a vision of what the land could be, just as we today have a vision. Our vision is to keep a “small-town”, friendly, “down home” atmosphere, while continuing to preserve our rich history and improving and expanding. Our mission is to carry on the excellent traditions began by our founding fathers. 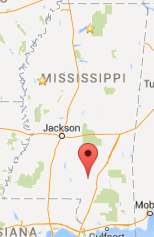 Lamar County is the second fastest growing county in Mississippi. Sumrall is growing and changing along with the county. We take pride in our town and are working continually to meet the demands of growth and to provide our residents and businesses with every available amenity for their convenience. We would love for all to see and feel the magic of living in a small town. With award winning schools and various Churches to choose from, it is easy to feel right at home here in our town, Sumrall.